Daniel Radcliffe plays a lawyer who is haunted by -- you guessed it -- a woman in black. It’s long been known that Radcliffe only had eight movies where he could play the Boy Who Lived. But that hasn’t stopped him from dealing with the supernatural. 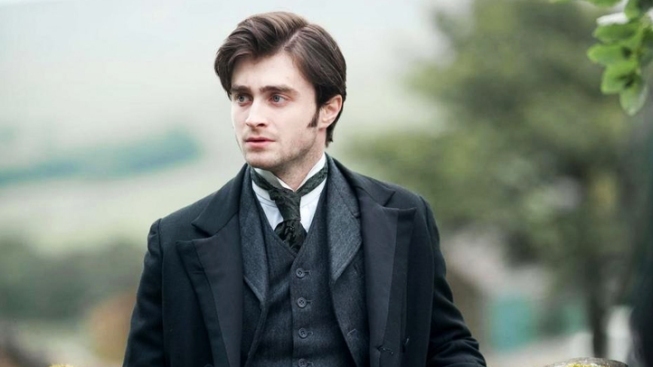 In the new film “The Woman In Black,” Radcliffe plays a lawyer who travels to a small town to attend a funeral. But as is the case with most remote English estates that don't involve Jane Austin, the place is haunted. Strange noises and sights are everywhere. The movie, based on a 1983 novel by Susan Hill, will be out later this year. Watch the trailer to see Radcliffe not waving around a wand.